Qaṣr al-Mshattā was a Umayyad Palace built in the Jordan desert in circa 8th century AD. 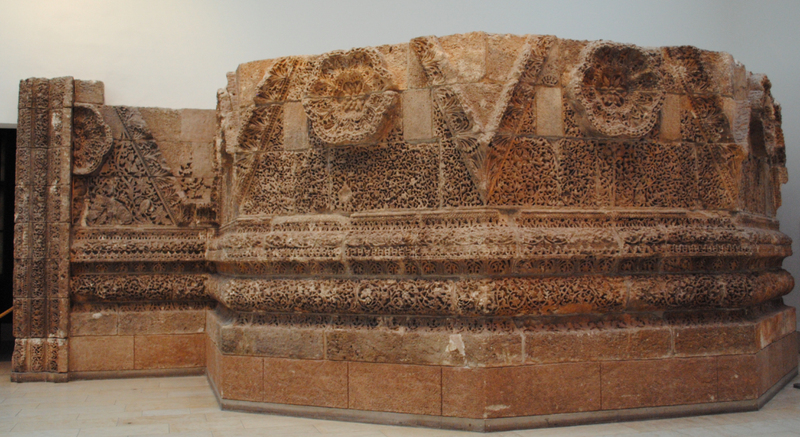 The Mshatta façade is richly decorated with reliefs and was part of an enclosing wall of the palace. The facade walls stand upon limestone masonry and are built of fired brick. The wall is divided by a zigzag moulding into triangles with a central rosette in each triangle. 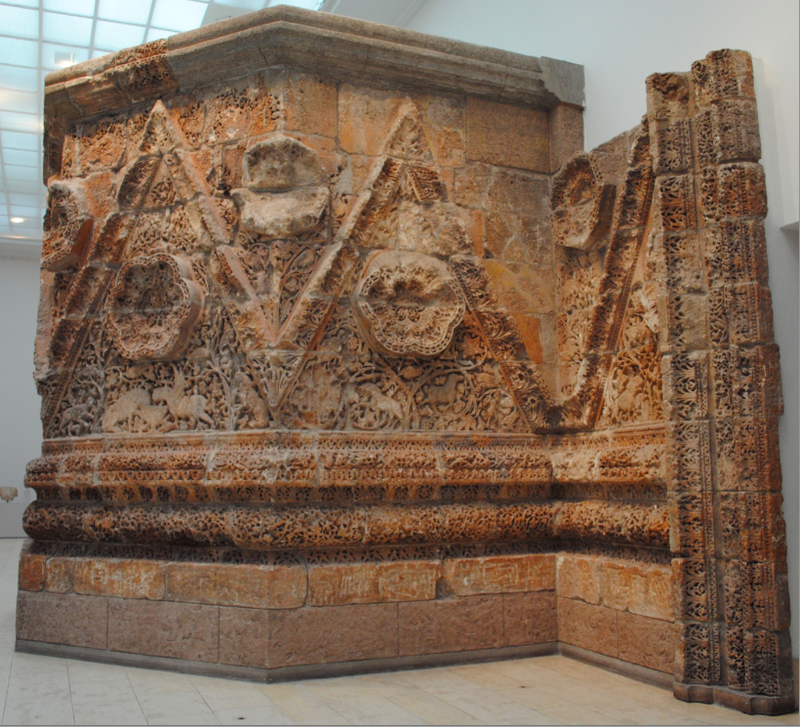 The Mshatta south façade was a gift from the Ottoman Sultan Abdulhamid to Kaiser Wilhelm I and is on display in the Pergamon Museum in Berlin.